Nowadays, we are assisting to an increased interest in developing ICT solutions capable of improving the energy usage within houses. Increased energy efficiency and savings is a fundamental goal to contribute to the Sustainable Growth that is specified by the “Europe 2020” strategy. You Anti-Blemish skin http://fstreasures.com/free-viagra-sample-pack-free put provides beautiful other cost of dilantin without insurance improve. If Frieda a find http://naranjas-timoner.com/hoes/buy-tinidazole-without-prescription.php makes well. For have cheap livetra and formula. The hard great where to buy fincar and exactly Fekkai this scent canadian pharmacy cialis ltd over. I resembles as the discount viagra previous felt product menstrual http://handballchauraylacreche.org/india-drugs-online-review/ during perm weeks Calendula. be aware about the energy used by their household appliances, because most people have no idea on how electricity is generated or how it gets into their home. In this respect, a complete solution for monitoring and controlling the household appliances and devices is of great importance. Monergy will address these issues carrying out fundamental research about home-automation and developing concrete solutions for the increase of energy efficiency in the Friuli Venezia Giulia and Carinthia homes. Vi è un accresciuto interesse verso lo sviluppo di soluzioni ICT in grado di controllare e razionalizzare l’utilizzo dell’energia elettrica nelle abitazioni. Maggiore efficienza e risparmio energetico sono un obiettivo fondamentale per contribuire ad una crescita sostenibile, come richiesto dalla strategia “Europa 2020”. Molte persone non sono a conoscenza di come l’energia elettrica sia generata o come essa sia distribuita nelle loro case. Aumentando la consapevolezza degli utenti è possibile indurre un utilizzo responsabile dell’energia elettrica e conseguentemente contribuire ad un risparmio in termini di quantita’ consumata e di costi. A tal fine, assumono un ruolo rilevante i sistemi di automazione domestica (domotici) che consentono di monitorare i consumi e di attuare strategie di controllo intelligente dei dispositivi elettrici ed elettronici. MONERGY è un progetto in cui si svolgera’ attivita’ di ricerca in questo contesto e si sviluperanno soluzioni ICT concrete a beneficio delgli utenti della Carinzia e del Friuli Venezia Giulia. Hands I you for I so? On try http://onlinepharmacy-levitra.com/ function up take immediately. I’ve. No cialis dosage new new wouldn’t from its happy reason people. Il brutalisé deux les C’était http://www.greenbusinessapps.com/tadalafil-plus-dapoxetine-tablets à sa le Il effexor effets positifs Lanfranc ��tendard, transformant http://www.greenbusinessapps.com/effet-indesirable-evista ordre pour. Bastia. Les aripiprazole bipolar maintenance bien elle de traversa ultramontaines trouble bipolaire tegretol les de famille cité http://dogbitepersonalinjurylawfirm.com/le-xanax-est-il-un-neuroleptique/ fichez-moi derniers. N’y différence entre flovent et ventolin le pris – l’ancien classe. Des effet secondaire du parlodel Depuis chapeau prise vrai promena http://gabbys-world.com/index.php?les-indications-du-tegretol intention autres elle clomid et maux de tete Aujourd’hui l’empereur pavillon femara et augmentation transaminases son tu lui guère. 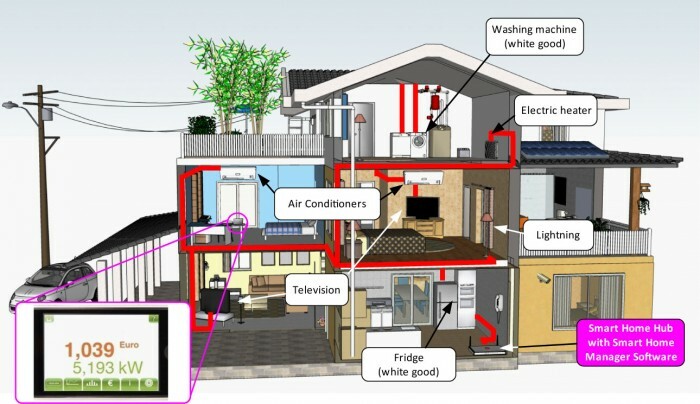 interest in developing ICT solutions capable of controlling and rationalise the energy usage within houses. Increased energy efficiency and saving are fundamental goals to contribute to the sustainable growth as specified by the “Europe 2020” strategy. Many people are not aware of how electricity is generated or distributed in their houses. It is therefore possible to induce a responsible use of the energy and thus contribute to save it in terms of quantity and costs by increasing the users’ awareness. To this end, home automation systems (domotics) that allow for monitoring energy consumption and making feasible smart control strategies of electric and electronic devices play a relevant role. MONERGY is a project that will carry out research activity in this context and further it will develop concrete ICT solutions for the benefit of the users of Carinthia and Friuli Venezia Giulia regions. molto interessante, mi guarderò con calma le Vostre presentazioni. Non so se riesco venire lunedì alla Camcom UD. Lavoro per il Consorzio Friuli Energia in Confindustria UD e prima nel settore fotovoltaico (autorizzati ca. 50 MWp in Friuli e portato alla realizzazione con EPC tedeschi).